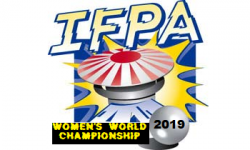 The IFPA Pin-Masters is the World Pin-Golf Championships event operated by the International Flipper Pinball Association (IFPA). 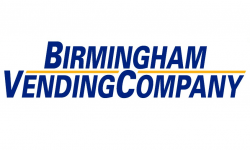 This document specifies the official operating rules and regulations of the event. 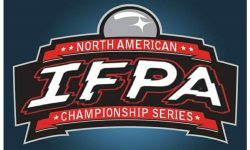 The event coordinators for the IFPA Pin-Masters are Josh Sharpe, Zach Sharpe, Brian Woodard and Adam Becker. Event coordinators organize volunteers, designate scorekeepers, handle malfunctions and rulings, delegate responsibilities and authority, and otherwise work to ensure the smooth operation of the tournament. Event coordinators and designated officials are not excluded from tournament play but will be recused from any situation that directly affects their actual or potential standing as a player. 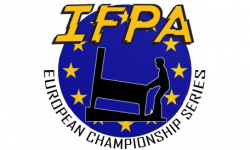 The IFPA Pin-Masters is a minimum of 2 rounds of competition for all players, with no players eliminated until Sunday. All players compete in groups on Friday and Saturday, playing through 2 rounds of Pin-Golf made up of 9 Pin-Holes. Based on the Pin-Strokes earned over those 2 rounds, the top 16 qualifiers will advance to the Finals. 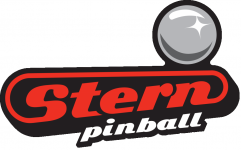 In addition, the top 4 players ranked 251+ in the World Pinball Player Rankings will advance to the Novice Final. Over $7000 in cash and prizes will be awarded assuming a full field of participants (72 players). All players will be placed in the Open Division of play. 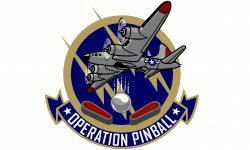 Any player that is ranked 251+ in the World Pinball Player Rankings as of the start of the tournament will also be eligible to qualify for the Novice Division. 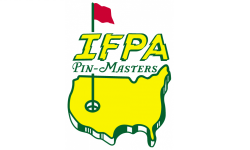 The entry fee into the IFPA Pin-Masters is $100 per participant. 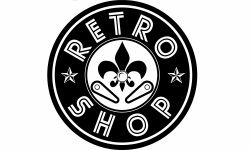 All entry fees will be paid back in cash, trophies and additional prizes. 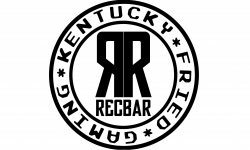 Cancellations are refunded 50% of their registration fee. Any excess funds from player refunds will be added to the prize pool. Prizes will be awarded to the top 16 finishers, as well as the Novice Champion. The prize pool breakdown below is based on a maximum field of 72 players. Should less than 72 players participate, a similar percentage breakdown will be used based on the total funds raised through entry fees collected. Players will complete 2 rounds of 9 Pin-Holes during Qualifying. 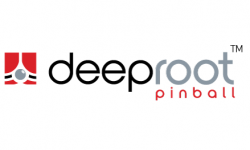 Each Pin-Hole will consist of a pinball machine with a target score. The number of balls it takes for the player to reach that target score will represent the number of Pin-Strokes earned for that hole. Should a player not reach the target score after a full game is completed, a stroke value will be determined based on how close the player was to the target score at the end of their game. A maximum of 10 Pin-Strokes per Pin-Hole will be enforced. Scores will be cumulative across all rounds played. 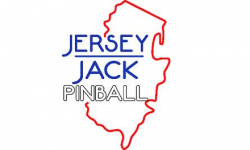 When starting Round 1, the competitor ranked highest in the World Pinball Player Rankings will have choice of position for the first Pin-Hole. For all subsequent holes the competitor with the lowest score at the previous Pin-Hole takes the honor of going first at the next Pin-Hole. The competitor with the second lowest score plays next and so on. If two or more competitors have the same score following a Pin-Hole, they play the next Pin-Hole in the same order as at the previous Pin-Hole. For the start of Rounds 2, the competitor with the lowest score will have honors of going first to start the round. 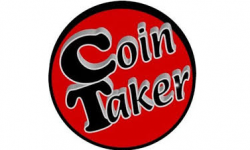 In any tied situations we will use the World Pinball Player Rankings as the tie-breaker. At the end of 2 qualifying rounds the top 16 scores. 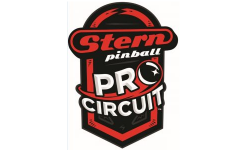 In the event that two or more players are tied on the qualifying bubble, such that not all of the tied players can advance to the final rounds, a tiebreaking procedure will be utilized. A single game will be played on a machine selected by tournament officials from the qualifying bank of games. The tied players will play, in randomly determined order, in a multiplayer game on the selected machine, and will subsequently be ranked in the order of their scores on that game. If more players are tied than the selected machine will support in a single game, multiple games will be played to accommodate all tied players, in randomly determined order, and the resulting scores will be compared as if they had occurred in a single game on the same machine. Player groups in a tiebreaker will be arranged breadth-first so that each group is of similar, but descending, size. For example, five players will be arranged as a group of three and a group of two, rather than a group of four and a solo player. Nine players would be arranged as three groups of three. In the event that two or more players are tied but are not on the qualifying bubble, we will look at who had the most holes-in-one as the metric to determine seed. Should any players be tied for the same amount, we will move to who had the most holes-in-two, etc. Under no circumstances will players be given a choice of groups at any time. The 16 finalists will be divided into 4 groups with 4 players each. Each group will play three separate games, each on a different machine from among those available in the tournament. Each four-player game will be played and scored using the same Pin-Golf scoring used in the qualifying rounds. Each round will consist of 3 games played. A minimum score per finals round is 3 strokes, and a maximum score per finals round is 30 strokes. The group that contains the highest-seeded player gets first choice of machine and order of play. The highest-seeded player within each group may choose either the machine to be played, or the order of play. If the highest-seeded player chooses order of play, the remaining players may choose their order, in descending order of seeding, and choice of machine then goes to the next highest-seeded player in the group. Conversely, if the highest-seeded player chooses the machine to be played, then the next highest-seeded player chooses the order of play, with the remaining players choosing order of play in decreasing order of seeding. Once a player verbally announces their game choice, or chooses position, that decision cannot be changed. If at any point a high-seed player declines to make a choice, the choice is deferred to the next highest-seeded player, as appropriate. The affected group still retains its order of choice among groups, however. If no player in a group will make a choice, the choice(s) are determined by tournament officials, who may or may not choose randomly. Note that the original seeding of players when entering the final rounds from qualifying is used in every round. At no time does a player’s seeding change from round to round; therefore the advantage of qualifying in first place can be significant. No group may select a machine which has already been selected by a group in the same round, nor may they choose a machine on which they have already played in that round (unless machine malfunctions have made this unavoidable; tournament officials may choose to provide additional or substitute machines, however). 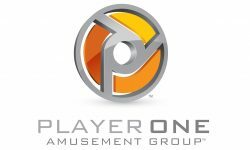 If the machine selected is currently being played by another group in a previous round of play, the group may wait for that round of play to be completed. For example, if one group is playing a given machine as their first machine, a different group may choose to wait for it as their second machine. In the event a division’s final round overlaps with qualifying for a different division on the same bank of games, final round groups are permitted to wait for games that are being used by players attempting to qualify for a different division. In the event too few machines are available during any round of play, the group(s) with the lowest high-seed players will be forced to wait until a game becomes available. As soon as a game becomes available, as indicated by the scorekeeper, the next highest-seeded group must begin play on that machine. In this situation, choice of order of play will be made by the highest-seed player in the group (unless that player declines, as described above). Again the top 2 players from each group will advance. Significant ties between players at the end of any final round will be resolved by one tiebreaking game chosen by the highest seed involved in the tie. The high seed is not permitted to choose a game that has already been played by the group in that round. Note that a tie is only significant if it affects whether or not a player will advance toward the final round, or occurs in the final round. If more than one group of players are tied, the machine is chosen for the group with the highest-ranking tied player first. The selected machine is not available for selection in lower groups. All tied groups will play their tiebreaking games in parallel. In the unlikely event of an exact scoring tie on the tiebreaking game, only those affected players will play another tiebreaking game, on another game chosen in similar fashion, under the same rules. In addition, the top 4 players, including any players tied for 4th in the Novice Division will advance to the Novice Final. 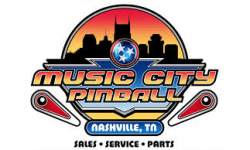 Only players ranked 251+ in the World Pinball Player Rankings will be eligible. This will be a 3-game playoff round run in conjunction with the quarterfinal round of the Open Finals. Tournament games will consist of 9 games spanning all eras (Electromechanical through the latest DMD/LCD games). The game list will be published prior to the tournament so participants have plenty of time to get familiar with game rules and develop a strategy beforehand, although this list is tentative and is subject to change leading up to the event. 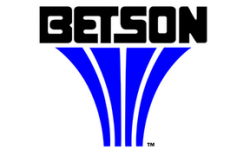 In the event that a machine becomes disabled during the tournament, if less than 50% of the field has completed that game, the scores earned on that game will be voided and the course will then be made up of the 8 Pin-Holes played. If 50% or more of the field has completed the hole, an average score based on the other 8 Pin-Holes played will be used as the score applied for this disabled Pin-Hole. All attempts will be made for extra balls to be disabled for all machines. Should a player earn an extra ball, they will play it as part of the same Pin-Stroke on that particular Pin-Hole. All rulings and malfunctions will be based on the unified IFPA/PAPA rules. Those are available HERE.